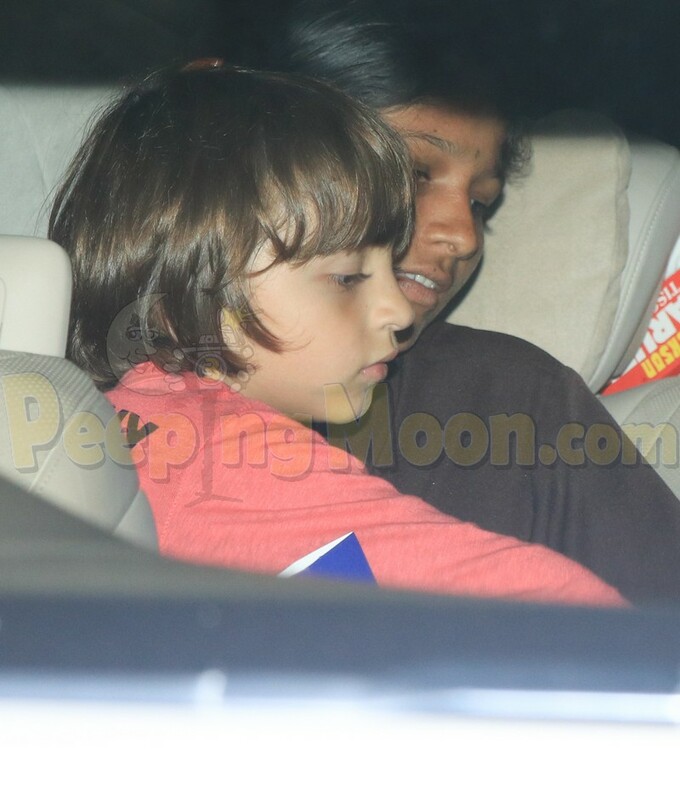 Shah Rukh Khan's and Gauri Khan's little one AbRam Khan doesn't like the cameras much and it is not an unknown fact. 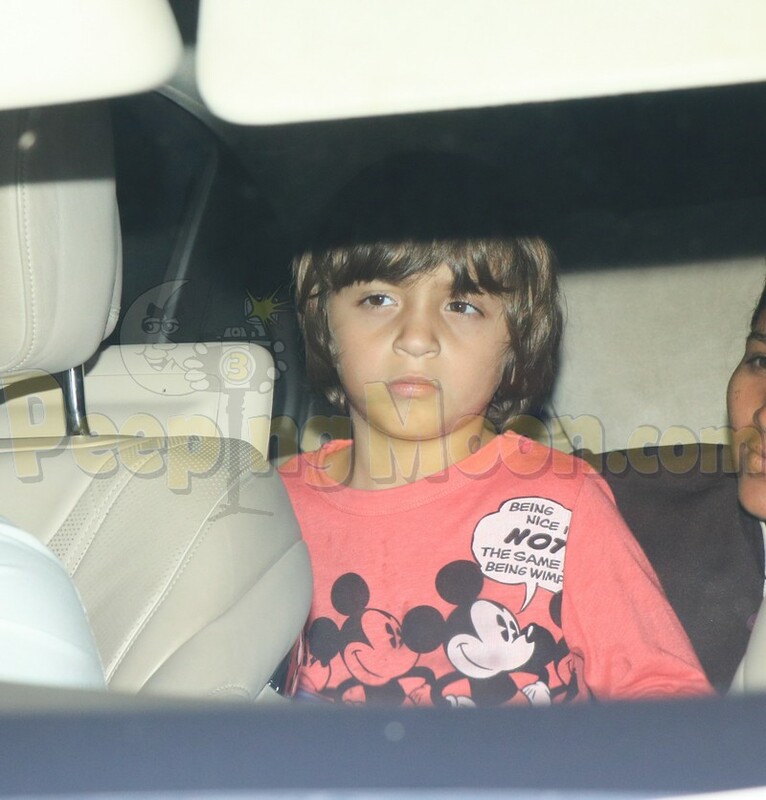 The star kid is often seen getting annoyed and sad after seeing the paparazzi and we completely feel him. 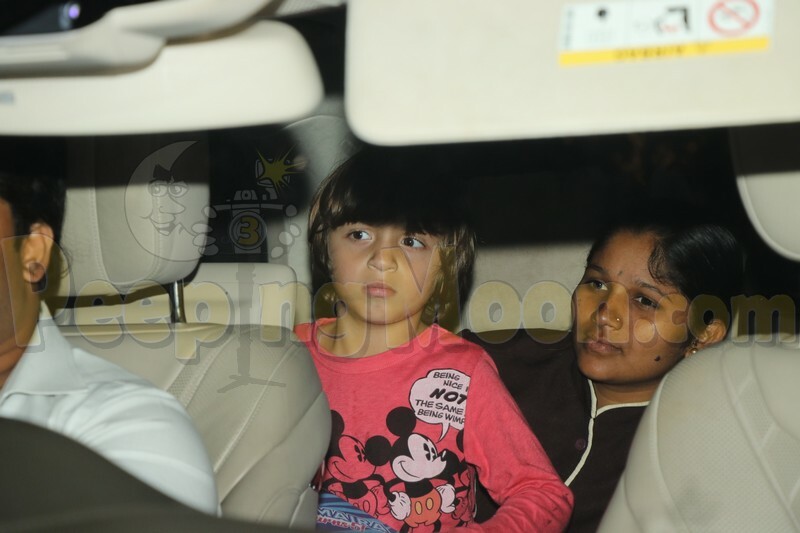 But yesterday was an unusual day when little AbRam was not frustrated to face the cameras. 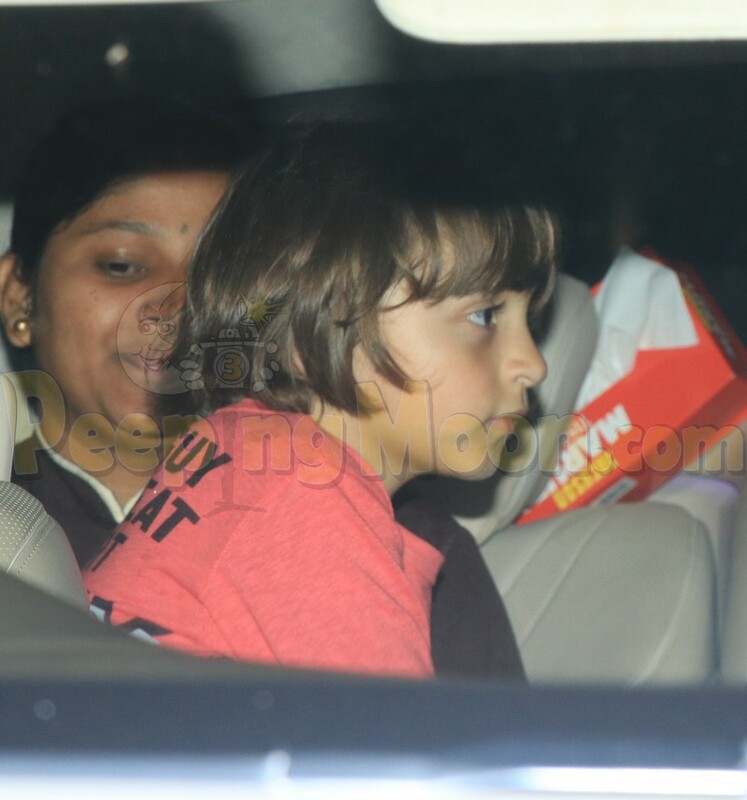 In fact, he looked cute as a button as he made his way to Sachiin Joshi's daughter Samaira Joshi's birthday. 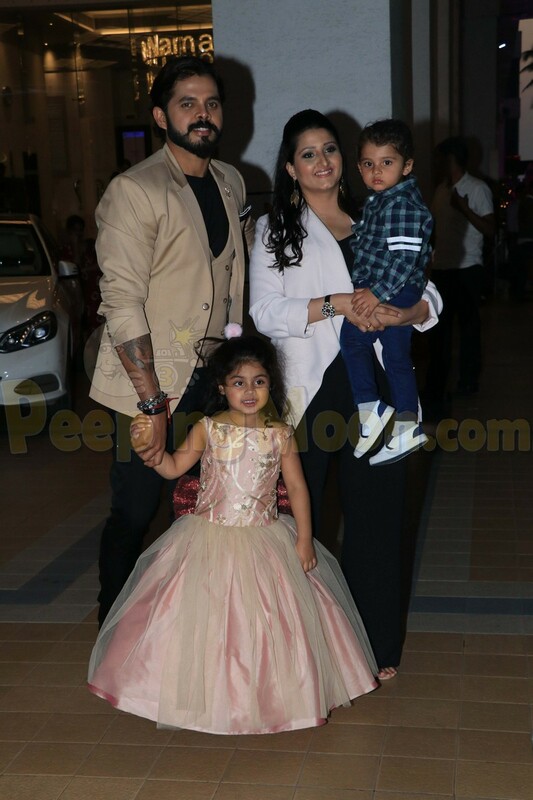 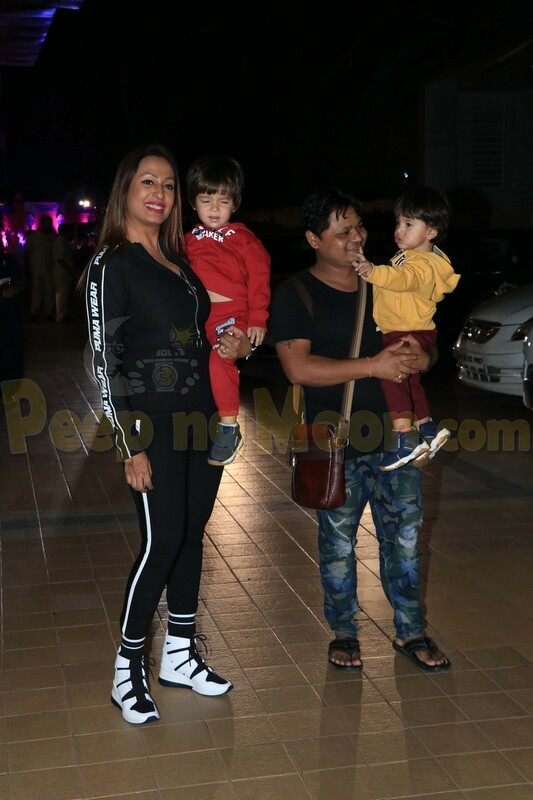 Also present at the party were Sreesanth with his wife and kids, Bunty Walia with his family and Kashmira Shah with both her sons.